For many inhabitants of South Africa the end of apartheid was a huge upheaval. Hilbrow, a district of Johannesburg, degenerated over time and became a hub of violence, drug trafficking, prostitution, and desperation. Some of the many street children searched for a way out and consequently launched a project called M.U.K.A., standing for Most United Knowledgeable Artists. Hilbrow remains a deprived area to this day, but with the creation of M.U.K.A there emerged a place, and a real opportunity, for refuge. After the first steps, the project became an institution in its own right. 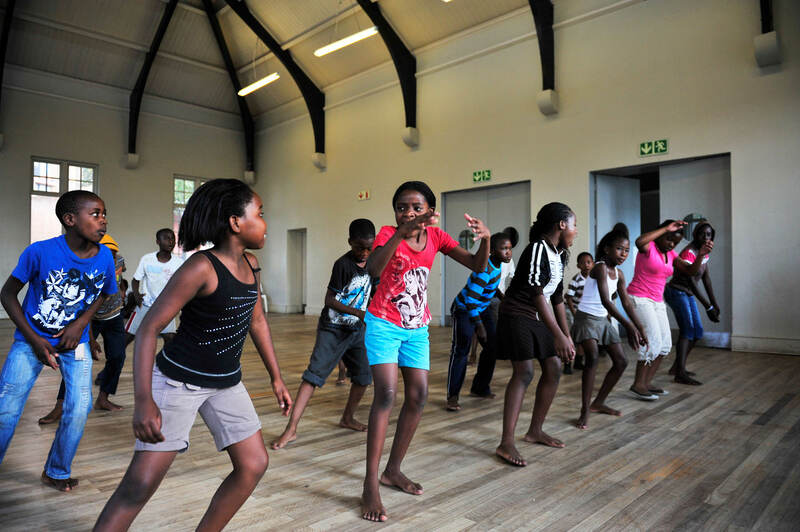 Street children find here the opportunity to express their personal experience through the mediums of dance, music, and theatre; streets, community centers, and churches serve them as possible stages for their performances. Approximately 100 young people are currently involved in M.U.K.A., and they are supported and encouraged by the founding members, almost all of whom are presently working in creative professions. M.U.K.A. sends a strong message about the possibilities of a brighter future, since it combines and enables the fostering of talent and personality development through art, access to culture, and social work. Continual workshops address the issues of preventing conflicts and avoiding violence, thereby offering new perspectives to young people about their prospects. The project frequently goes on tour in South Africa and neighboring countries, but performances can also be seen around Europe. M.U.K.A. has received several awards and has been honored on numerous occasions, doubtless because of the message it sends: education does lead to a better future! The Peter Ustinov Foundation supports the M.U.K.A. project directly and bears the costs for the staff and for equipment so that this success story can continue. Any help, donations, or assistance would be gratefully received in order to enable us to continue to help the children and young people of M.U.K.A.